Travel review and booking site, TripAdvisor has redesigned its site to look and feel more like a social platform. As such, it will now allow members to create their own profile and post photos and videos while following friends, brands and influencers to get personalised travel advice – giving it a more community like feel. The move has garnered positive response from many in the marketing industry. Kelvin Koo, managing director of Falcon Agency said that the move “makes sense” as TripAdvisor is sought for its travel research during a consumer’s “moment of intent”. Koo said that in short, this platform is shifting Tripadvisor’s role in the traveller’s digital journey from that of research and intent, to that of discovery and inspiration. He added that done right, the new offering can present a big opportunity for brands and travel influencers looking to build its follower base or monetise from this platform. “With more travel content from influencers and brands who create content on the portal, Tripadvisor would become even more useful as a research portal for anyone thinking of travelling or just needing inspiration” Koo said. The next step of course, would be for the platform to persuade the average traveller to use TripAdvisor as the “de-facto” channel for sharing about their trip, given Facebook and Instagram currently dominate that space. The two already have large following of people who share about almost everything in their lives – this will thus be TripAdvisor’s challenge. Prantik Mazumdar, managing partner at Happy Marketer said that TripAdvisor has been a game-changer in the travel industry in the last decade, serving over 450 million visitors every month. But given the plethora of social media channels out there, he added that TripAdvisor should focus on improving its user experience by “socialising” its platform though the integrations with existing social media sites such as Facebook and Instagram. 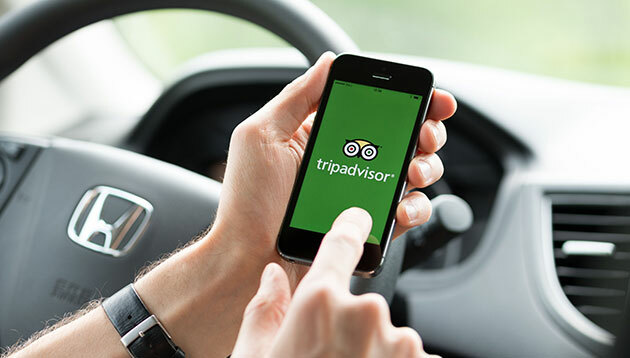 “[TripAdvisor should] focus on adding more utilitarian value through by personalising the content and recommendations, and also providing service through chatbots and offering financial and insurance support through partners. This includes allowing friends and family to collaborate during the travel planning journey,” Mazumdar said. “By focusing on its core utility of being a one-stop, convenient travel platform that fulfills an user’s journey right from inspiration to discovery to planning to fulfillment to post travel experience sharing, the company is more likely to drive higher usage and engagement,” he said. This could then be better monetised through a combination of premium brand advertising, revenue shares from booking and premium subscriptions. As with most digital marketing efforts, it’s going to boil down to how well TripAdvisor will be able to match brand offerings with consumer needs, said Vincent Chin, managing partner at Hashtag Interactive. With other social media players having been active in this space for years now, TripAdvisor will be playing catch-up from day one of this new platform. “Starting a new platform is never easy, especially given the sheer variety of options out there. But if TripAdvisor can provide a unique enough value proposition, the users may come,” he added. Robert Gaxiola, former co-managing partner of manghamgaxiola mcgarrybowen said that TripAdvisor has kept its F&B and travel community growing and sharing their personal experiences in a responsible way, despite the many personal accounts from people all over the world. He said that with the new beta, the site will enhance the experience for those consumers with their own trusted circles of people, names and brands. Hsu brings over 16 years of experience in both Taiwan and China, where she managed international clients across several different ..
Sponsors of the World Cup are on high alert after US prosecutors accuse officials from football's governing body of racketeering, ..
Deejays dumped and some advertisers lost after a morning prank was deemed "inappropriate". ..
An average of 88% of Malaysian SMEs are adopting digital economy platforms, such as e-commerce, mobile-commerce and social-commerc..